What is the Child Trust Fund? Home > Child Trust Fund > What is the Child Trust Fund? In its first Budget the coalition government announced the gradual phasing out of government payments into Child Trust Funds. These changes will require an Act of Parliament. Until such a time as that Act is passed, the information here remains valid. Many parents wish to save for their child's future. This is particularly true today, as the price of housing continues to rise and deposits become ever more expensive. Until recently, however, parents frequently found it difficult to make the first step. The Child Trust Fund was designed to make saving an easy process. 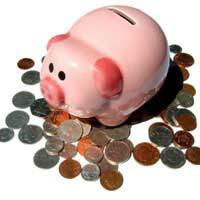 The Child Trust Fund, or CTF, is essentially a savings and investment account. It is a long-term investment prospect that is available solely to children born on or after 1 September 2002. If you are claiming Child Benefit for the child in question, they will be eligible for a Fund. One of the key characteristics of the CTF is that, as it is held in trust for the benefit of the child, no-one is permitted to withdraw any funds from the account until the child in question reaches the age of 18. At this point the account-holder will assume responsibility for the management of the account, and can withdraw the funds if they wish. One of the most attractive features of the CTF is the initial voucher given by the government. All eligible children will receive a £250 starting credit, paid directly into their account. Furthermore, the children of those families with a household income of £15,575 or less (for the 2008/09 tax year) who also receive the Child Tax Credit will be given an extra payment. A final payment of £250 will also be made by the government when the child reaches the age of seven. The CTF comes in a number of different forms. Parents are given the opportunity to choose what sort of account they wish for the money to be placed in. Some of these are purely savings accounts, while others will offer the opportunity for the money placed in trust to be invested. Savings accounts are clearly safer, although the investment accounts can potentially render stronger growth. Further information about the various types of Child Trust Fund account is available in an article elsewhere in this section. A particularly important characteristic of the CTF is its favourable tax treatment. Any income that is derived from the assets placed in trust will be completely tax free. Furthermore, the CTF is exempt for Capital Gains Tax (CGT) purposes. These two tax breaks ensure that the CTF is a very attractive savings option; the CGT exemption is particularly important for those who wish to invest the assets placed in trust. There are a number of rules governing deposits into the account. While all deposits, regardless of the donor, are tax-free, there are limits to the amount that can be placed in the account annually. This limit is currently set at £1,200, but this figure excludes any contribution made by the government. In the first and seventh years, therefore, up to £1,450 may be deposited in total. It is important to remember that once money has been transferred to the CTF it cannot be withdrawn by anyone other than the child in question, and this can occur only when they reach the age of 18. Junior ISA: a Child Trust Fund Replacement? CTF Abolition: What Does it Mean for Me?